Your home is likely one of the biggest investments you have made and when you’re placing your home for sale on the real estate Whitehorse market, you’ll want the most return on your investment. 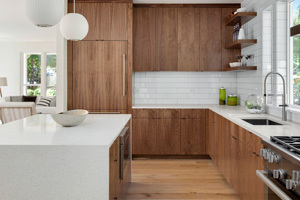 There are many different improvements and renovations you can make that will really help to sell your home. The kitchen is one of the key selling features in your home, in fact 75% of home buyers have stated that the kitchen is their favorite room in the house. If you’re on a budget, rather than upgrading all of the appliances in the kitchen, you can always make cheaper upgrades like changing the countertops, cabinets, or the flooring. The upgrades don’t necessarily have to be the expensive top brand products, but they need to be an improvement on what was there previously, to increase value on the home. Like the kitchen, the bathroom is also very important when people are searching for houses for sale Whitehorse. If you don’t have the budget to replace the shower/tub, sink, or the toilet, there are other cheaper upgrades you can do. Smaller things like replacing the caulk around the shower, re-tiling or grouting, or even just replacing an old mirror with a newer modern looking mirror, can really help the appearance of the bathroom. Painting is one of the most cost friendly upgrades you can give your home. 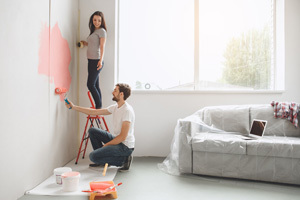 A nice clean and fresh coat of paint can really brighten up your home, and can really make a positive feeling in the environment without having to rely on furniture and decorations. Most people when selling Yukon homes for sale like to stick with more neutral colors, as some primary colors can be too bright and are more of a personal preference. You can usually stick with the whites, grey’s, or beige when repainting the house. These are just a few cost effective way you can help sell your home faster and make more money back, when listing houses for sale whitehorse. For more information contact Felix Robitaille today.